According to the dominant tradition of literary criticism, the novel is the form par excellence of the private individual. 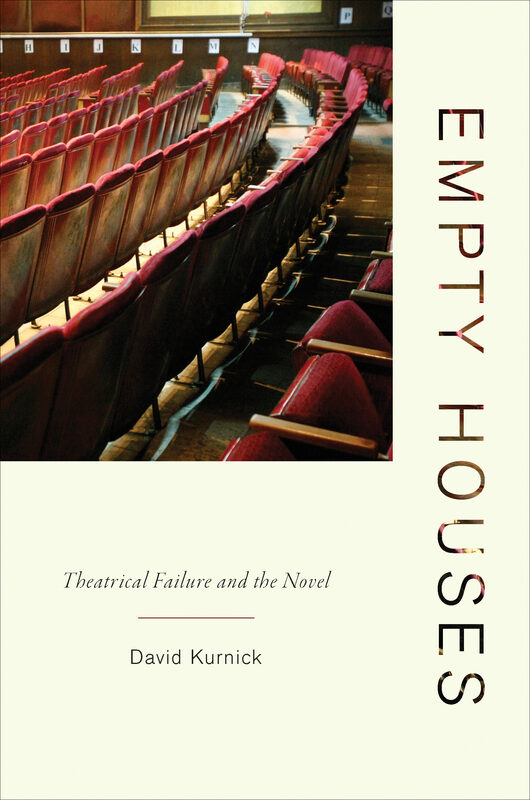 Empty Houses challenges this consensus by reexamining the genre's development from the mid-nineteenth to the mid-twentieth century and exploring what has until now seemed an anomaly--the frustrated theatrical ambitions of major novelists. Offering new interpretations of the careers of William Makepeace Thackeray, George Eliot, Henry James, James Joyce, and James Baldwin--writers known for mapping ever-narrower interior geographies--this book argues that the genre's inward-looking tendency has been misunderstood. Delving into the critical role of the theater in the origins of the novel of interiority, David Kurnick reinterprets the novel as a record of dissatisfaction with inwardness and an injunction to rethink human identity in radically collective and social terms. Exploring neglected texts in order to reread canonical ones, Kurnick shows that the theatrical ambitions of major novelists had crucial formal and ideological effects on their masterworks. Investigating a key stretch of each of these novelistic careers, he establishes the theatrical genealogy of some of the signal techniques of narrative interiority. In the process he illustrates how the novel is marked by a hunger for palpable collectivity, and argues that the genre's discontents have been a shaping force in its evolution. A groundbreaking rereading of the novel, Empty Houses provides new ways to consider the novelistic imagination.